When resume writers want to stand out from the competition they pursue a coveted TORI resume writing award. Now CDI is sharing some of the secret weapon tips behind how resume writers can increase their chances of being nominated and winning an award. While the TORIs are highly competitive and require strong resume talents, there are strategies, no matter how seemingly simple, that are secret weapons to improving the quality of the resume and thus increasing the chance of winning a TORI award. 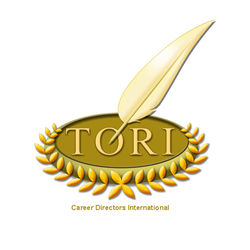 For 15 years Career Directors International (CDI), a global membership-based organization, has been hosting the Toast of the Resume Industry (TORI) resume writing awards competition. The event has become regarded as the top way for professional resume writers to prove their talents and skill against resume writers from around the world. In fact, resume writers who have won one of CDIs TORI awards (there are first, second, and third place awards conveyed in nine different categories each year) all claim similar results, which makes the competition pivotal for any resume writer who wants to stand out in a crowded market. #1. – Punctuation (periods): Either use them or don’t. Once a writer gets into the treacherous territory of putting them ‘here’ but not ‘there’ they end up with a consistency issue that just looks sloppy. #2 – Serial commas. Unless the job seeking client is a Tech Writer or a Teacher, using serial commas or not is not the issue; the issue is how they are used. If a third of the resume has serial commas and the other two thirds doesn’t — the resume’s perfection has been bungled. When the client is a writing specialist (and yes they will hire resume writers), simply ask which school they follow – to serial comma or not to serial comma. #3 – Format from job to job. Don’t go changing the layout from position to position on the resume because it best suits the job. A resume works as a system — all parts of a puzzle — and not as stand-alone modules that don’t go together. Each resume should have balance and consistency so make sure indents are the same, sub-headers follow the same layout, bolding is consistent, and bullets are consistent. Marketing: Brought all marketing initiatives in-house, which reduced annual expenses by $75,000 and provided greater control over campaigns with no reduction in pipeline or new client capture. Brought all marketing initiatives in-house, which (start bold) reduced annual expenses by $75,000 (end bold) and provided greater control over campaigns with no reduction in pipeline or new client capture. Pick one or the other, but don’t switch back and forth within a position description or in different position descriptions in the resume. Tip: Consistency can vary a little in early jobs that need to be highlighted but that aren’t important enough to take up all the space of major details. This means a writer might create an ‘Early Experience’ section or an ‘Additional Relevant Experience’ section so that they can present the jobs in a different way, which usually involves just listing position, company name, location, and date on one line followed by a brief challenge-action-results-focused paragraph. #4 – Schools vs. degrees. Unless the job seeker went to a prestigious, Ivy League school, there is rarely a good reason for listing the university, college, or school name first before the degree, certification, or training earned. A major rule of thumb in resume writing is that prospective employers can read for speed. Don’t make them hunt for the relevant academic credentials — instead list them first and then state where they were earned. Probe the client for anything they may have done during the gap to further their knowledge, expertise, and relevance. Did they volunteer, sit on a board, chair a committee, or do fundraising? Read business books? Network in their professional association? Write a book or publish articles? Are they taking for granted that they helped out with a family member’s business? Take a class? Sell on eBay or Etsy? Cover the gap in the best light possible. If the gap can’t be covered, then determine if an alternate format like a chrono-functional hybrid is needed to best downplay the gap where nothing valuable transpired. Maintained a well-run household while balancing the needs of family with focus on professional development. Performed self-study of languages to enhance skills and participated in successful fundraising efforts at Children’s Benefit Society. Exercised an opportunity to focus on personal and professional development by spending time in an immersion learning environment to study languages to shore up business communication skills. Concurrently volunteered for Children’s Benefit Society as a Chief Fundraiser, which resulted in development of new sales skills and experience in communicating with the C-level of corporations. Successfully captured $28,000 in new donations during one campaign. Resume writers who are interested in reading the other ten tips can access them in CDI’s member lesson, Write Better Resumes in Seconds: Fixing Terror Errors. To learn more about the TORI awards, which close for 2015 on Monday, June 15, visit CDI’s website.